The Farjo Hair Institute is the UK’s only centre of excellence combining hair transplant surgery, hair loss medicine, hair research and hair restoration education. A medical and surgical facility since 1993, we are dedicated to providing the best quality patient care in the fields of medical hair treatment and surgical hair restoration. Our surgical staff members are specially trained in these fields and employ the latest technology and techniques available. The premises based on Quay Street in Manchester were opened in 2012. 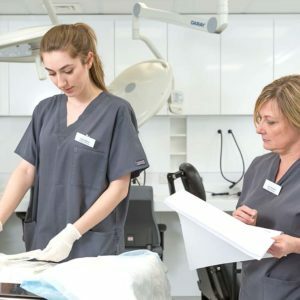 Drs Farjo invested over £2 million to create a state-of-the-art teaching facility and fully operating surgery.The 4,300 sq ft Georgian-style building is home to the first hair transplant training academy in the country and offers the highest level of standards for patients undergoing surgery. The Farjo Hair Institute is committed to the ongoing research and development of pioneering ways to counter hair loss. Our goal is to work with patients as individuals and provide a solution to manage their hair loss, whatever its form or severity. 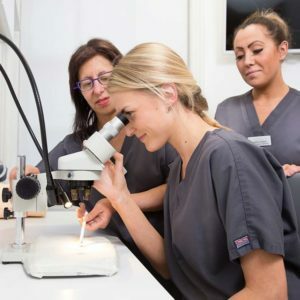 Beyond this, our focus is to educate – both those who wish to seek treatment and professionals within our industry – in the hope of setting a universal standard of excellence within our field. Operation Restore is the International Society of Hair Restoration Surgery’s (ISHRS) pro-bono programme. It’s designed to match prospective hair restoration patients, suffering from hair loss as a result of an accident, trauma or disease, with a physician willing to help. It assists people who lack the resources to obtain treatment on their own. Since its inception in 2004, Operation Restore has provided hundreds of thousands of pounds worth of free hair restoration surgery and expenses for patients suffering from hair loss due to these circumstances. ISHRS volunteer physicians – who include practitioners from The Farjo Hair Institute – come from around the world and donate their services to help patients both young and old who would not have had the opportunity to undergo treatment without this programme. Patients suffering from hair loss due to disease or trauma – who cannot afford hair restoration surgery – are encouraged to apply to the ISHRS’s Operation Restore programme. Applications are available through the ISHRS website – http://www.ishrs.org – and are reviewed by the Pro-Bono Committee of the ISHRS. Selected patients are matched with an ISHRS physician volunteer and every effort is made to match patients with physicians in their geographical area. In cases where travel is necessary, the programme covers these expenses for the patient. 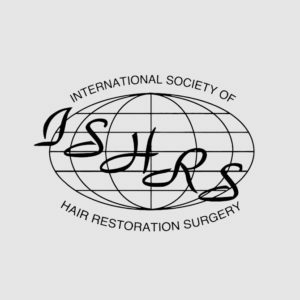 Founded in 1993, the ISHRS is a not-for-profit medical association dedicated to the advancement of the art and science of hair restoration. With a membership of over 1,000 physicians and surgical assistants worldwide, the ISHRS provides continuing medical education to physicians specialising in hair loss and hair restoration surgery. It also serves as a resource for the public on the latest medical and surgical hair restoration treatments for hair loss. At Farjo, you enter not just a leading centre for hair loss treatment but also an international beacon of education and excellence in hair restoration. In fact, the Farjo brand is synonymous with hair transplant surgery and hair loss research both in the UK and around the world. Underpinned by cutting-edge research, our team’s knowledge and skills place them in the vanguard of hair restoration techniques and our Institute in Manchester attracts surgeons from across the globe to study our methods. We run workshops and discussion symposia in our dedicated education facility with its own lab, 40-seat lecture theatre and meeting rooms where procedures in the operating theatre can be viewed live via video link. This is all part of Farjo’s continuing commitment to the professional development of both our doctors and technicians and those around the world, ensuring the highest standards are maintained, and the latest technologies used, in all our treatments. Farjo surgeons are the only British hair transplant surgeons recognised by their peers as regular educational contributors at international meetings and congresses they attend to exchange views and information with their colleagues worldwide. In fact, during the last few years alone, they have lectured in the USA, Canada, England, France, Germany, Ireland, Italy, Spain, Austria, Switzerland, Egypt, Turkey, Mexico, Australia, Romania, Israel, Brazil, India and South Korea. They are also amongst the most recognised names in the hair transplant world having occupied numerous positions on boards and committees with almost every significant organisation. We are committed to education and training in the field for both doctors and technicians and have plans for fellowship and teaching programs at our fit-for-purpose Manchester Institute. The facility, in addition to patient areas, boasts our own lab, meeting rooms and a 40-seat lecture theatre. We are currently working with established university programs for accreditation and welcome enquiries via the email form.